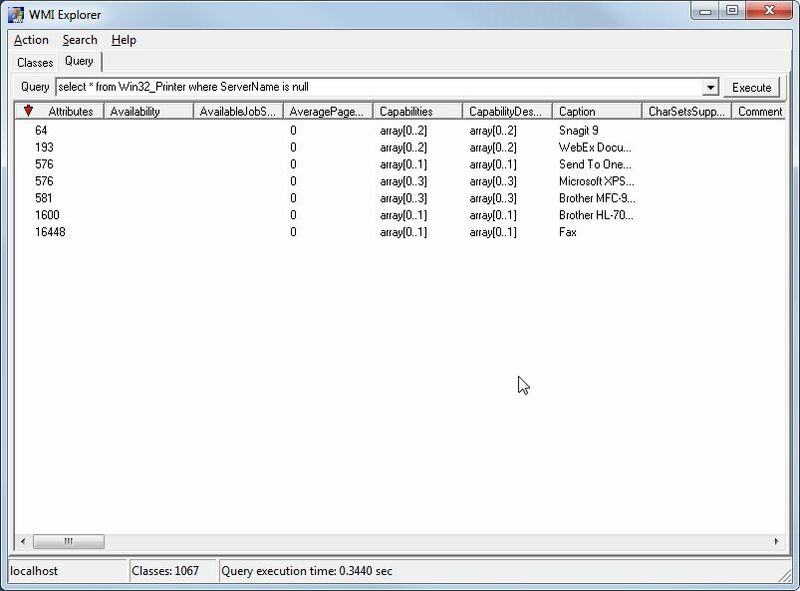 If you are doing WMI Programming like what I am doing now for a certain project I currently have, I highly recommend using this tool as defintely it will greatly increase your productivity. 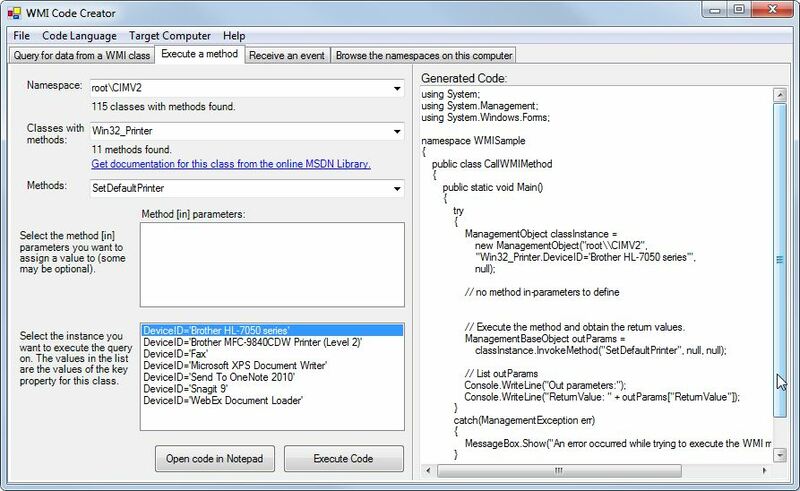 WMI Code Creator – Is a tool that allows you to generate codes that uses WMI such as querying, executing a method, to receiving event notifications. This one would make your life easier as it will create codes for you in C#, VB or VBScript, it even allows you to execute those codes. All you have to do is to copy and paste it in your project. 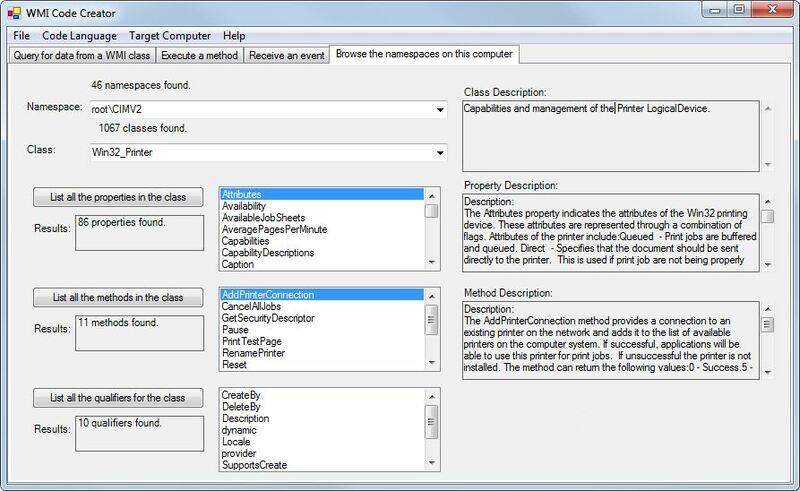 You can also explore the namespaces and their corresponding classes easily complete with description. 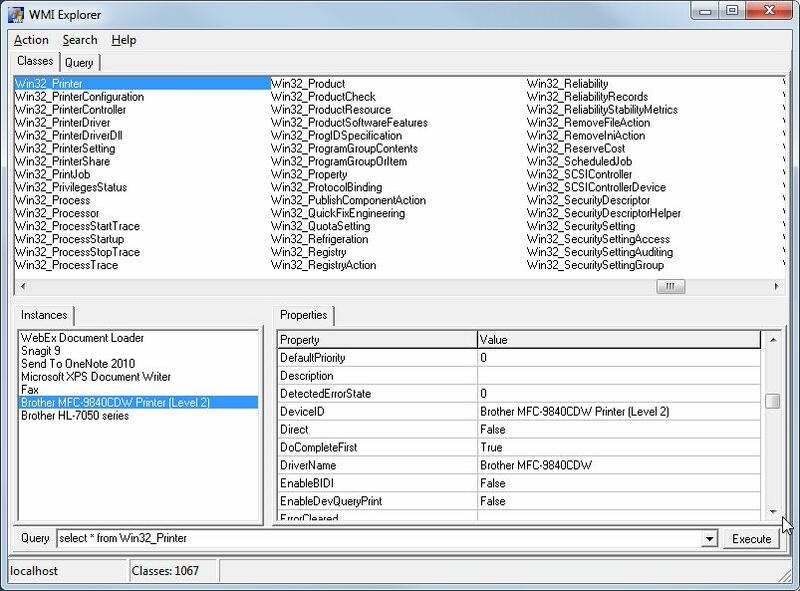 Another worth mentioning is the WMI Explorer by KS-Soft, it is a tool that allows you to explore everything in WMI which includes management classes, objects and their properties on local or remote machines. It has a simple interface which lets you view all objects in one window and clicking on an item shows the Instances on the classes and their properties, you can even search items if you have trouble finding what you want. You can also try your queries before you start coding saving you time on trial and error cases. Overall its an easy to use and its straightforward, it will be a good tool for exploring easily in one view what are the classes available for you and properties of the instances you might find. I find your tutorial easy to follow, i’ll continue reading other resources for this.